Should I Keep or Donate Leftover Fabric? A Useful Guideline! Home/Sewing Machines/Should I Keep or Donate Leftover Fabric? A Useful Guideline! If you’re like most other avid sewists who prefer working on their sewing machines to just about anything else, you’ve likely collected quite a stash of scrap fabric. 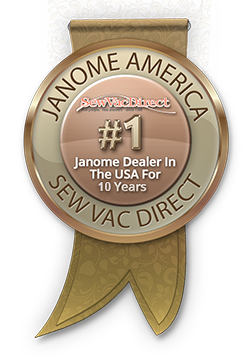 Leftover fabric tells the tale of all the great projects you’ve made with Janome sewing machines; however, it can also start taking over your sewing space. So what if you’re running out of room to comfortably work on your Janome 8077 due to all those containers of fabric scraps? Be honest with yourself. Most of these scraps won’t get used and are just taking up space. Thin out your stash by saving the pieces you can actually use and pass the rest on to someone who can make better use of it. An easy and fun thing you can do with fabric leftovers from other projects you've made with your sewing machines is to turn it into bias tape. Whether you have really long pieces or shorter ones, you can easily turn scraps into attractive patterned or contrasting tape to use in countless ways to fancy up different projects. You can also turn longer pieces into contrasting straps for tote bags and other items. If you like to make pants, jackets, or anything else on your Janome sewing machines that have pockets, there’s always a need for pocket linings. Save scraps of solid and patterned fabric that you can turn into cute pocket linings in your future projects. Silk also makes great pocket linings for more formal garments where patterned fabric would be inappropriate. Sometimes a little contrast is all a project needs to make it look really unique. Whether you’re making clothing, tote bags, throw pillows, or anything else, an attractive piece of fabric can make a delightful and interesting contrast piece in an otherwise uniform design. Hold onto the pieces that you really love because of the great pattern or texture and use it to spruce up something else you’re making. Besides making a contrasting focal piece with favorite fabric leftovers, use them to add a contrasting facing to the things you sew on your Janome 8077. Anywhere your project calls for facing fabric, use a contrasting color or pattern from scraps. You’ll truly enhance the look of the garment and your attention to detail will really show. Some scraps should be saved even if you don’t have an immediate use for them. Scraps of fine, solid colored silks or other fabrics and particularly expensive fabrics should always be saved. You can dress up any project with a little silk or you may have just the right piece to use for pocket linings or other trim when using higher-quality fabric. Put every bit of expensive fabrics to good use. Once you’ve picked through your stash and pulled out pieces you can actually use for projects on Janome sewing machines, box up the rest and donate them. Bring them to a thrift store, a church flea market, or anywhere else that could use them. These leftovers scraps won’t go to waste nor will they clutter up your sewing room and make it hard for you to work with your Janome 8077. Just think of the thrill other sewists who are looking for fabric to use with their sewing machines will get when they come across your box of leftovers!